So today I was given a new old keyboard. The IBM Model M keyboard to be exact. I'm guessing that you are curious as to why I would want an old keyboard. Well, the Model M keyboard is renowned as one of the greatest keyboards ever. Ever. First of all, the things don't break. Notch, the genius behind the creation of Minecraft, has had a Model M since he got his first computer back in the 80's. He has been using it ever since. Also, some have built in canals, for dust and any liquid that may get inside, so it will drain out. The Model M weighs in around 5 pounds, which may lead to some of it's durability. So, it's durable, but what makes it so special? Well, the keys use a buckling spring mechanism. This mechanism gives definite feedback whenever a key is pressed, both tactile and audible feedback. Remember the old clicky keyboards? 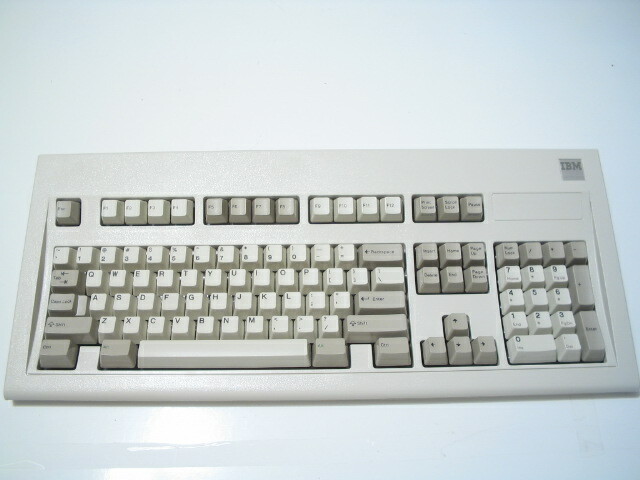 The Model M is the original clicky keyboard. Besides having an amazing feel, which I swear makes me type faster, the Model M has removable keycaps. That is, you can move all the keys around without taking them out. This way, you can switch to the Dvorak keyboard layout in a breeze. Now, this may be impractical, but it is still very useful for cleaning and such. 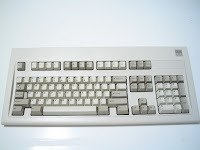 All in all, the Model M is probably the best keyboard ever made, and if you can get your hands on one or you have one, be sure to keep it around.